The London Borough of Waltham Forest is a London borough in north-east London, England. The south of the borough contrasts markedly with the north (split by the North Circular Road) in terms of its mixed ethnicity and socio-economic indicators. Taken as a whole, Waltham Forest comprises built-up urban districts in the south with inner-city characteristics, and more affluent residential development in the north with a variety of reservoirs, open space, small sections of Epping Forest, parks, and playing fields, which together cover a fifth of the borough. It is located between Epping Forest District Council in the north, London Borough of Redbridge in the east, London Boroughs of Newham and Hackney in the south, and London Boroughs of Haringey and Enfield in the west (where the River Lea and the surrounding parkland forms a green corridor, traditionally separating north and east London). Waltham Forest was one of the six London boroughs that hosted the 2012 Summer Olympics. The local authority is Waltham Forest London Borough Council. The borough includes one of the highest ethnic minority populations in Europe, consisting mostly of Eastern European and Black British, but it has also an established British Pakistani business and residential community. Many Stone Age remains are found in the area. Ancient Roman have also been found scattered around the borough proving it was a significant area of Roman occupation. The borough was formed in 1965, by the London Government Act 1963, from the combined areas of the former Municipal Borough of Chingford, Municipal Borough of Leyton and Municipal Borough of Walthamstow, which were all transferred to Greater London from the English county of Essex. 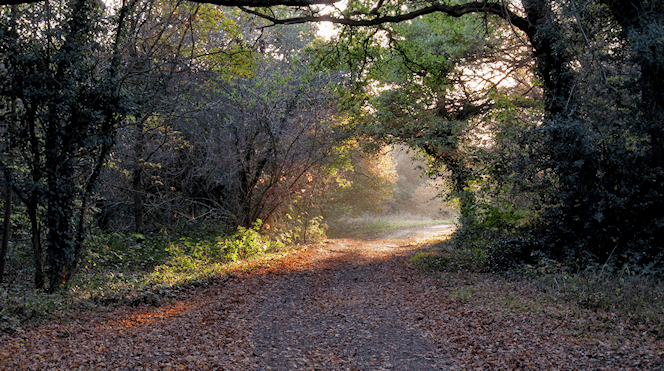 The borough was named after the ancient form of Epping Forest, the southern part of which extends into the borough. There was a petition against calling the new borough "Walthamstow". The Epping Forest Act of 1878 not only assisted in preserving the forest but also helped develop the towns around it: Chingford, Forest Gate, Walthamstow, Leytonstone, and Leyton. The areas location between the City of London and Epping Forest encouraged large scale urban development. Historically known as the seat of the Arts and Crafts Movement under the stewardship of William Morris, Waltham Forest has continued to succour many contemporary artists & art groups. These include the North East London Independent Artists (NELIA) group, based at the Changing Room Gallery in Lloyd Park, the 491 Gallery in Leytonstone, and a number of independent artists, also mainly in the Leytonstone area. The annual E17 Art Trail, which includes open studios, exhibitions and events, is the biggest art event in the borough, and there is now a similar event in Leytonstone. Eamon Everall, founder member of the Stuckism art movement is a long-time resident in the borough where he also maintains a studio. Waltham Forest is home to a number of musicians that have found success in the UK, including East 17, Blazin Squad, and Indie band Hefner, who formed in Walthamstow. The borough is also a centre of the grime musical genre; grime acts hailing from the borough include More Fire Crew, Lethal Bizzle, and Jammer amongst others. The only theatre in the borough, The Waltham Forest Theatre, was situated in Lloyds Park. Though a local campaign was launched to save it in 2008 the theatre was demolished in 2011. Leyton Orient F.C. is the local professional football team, based at Brisbane Road, Leyton. In the 1962-63 season the club has played in the top tier of English football, the Football League First Division, but currently are in Football League One, the third tier of the English football league system.